To keep you informed of how your investments are performing, and to make adjustments as needed. Long term planning to ensure you’re ready when your children are ready for higher education. 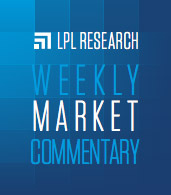 For professional fee-based portfolio management through LPL Financial. To design an investment strategy to help you towards all of your retirement goals. Brexit uncertainty continues to cloud Europe’s economy. On January 15, more than two-thirds of the U.K. Parliament voted against British Prime Minister Theresa May’s European Union (EU) separation deal, another bump in the road for “Brexit.” That outcome had been anticipated, though the wide margin underscored the tough road ahead. Even though May survived a no-confidence vote the next day, the margin was narrow, and the path forward remains unclear. Here we discuss potential market implications of the United Kingdom’s ongoing effort to leave the EU. We also share our updated views on European equities and reiterate our preference for emerging market (EM) equities over developed international equities.